Did you all have the opportunity to attend the 2013 episode of EAA’s “World’s Greatest Aviation Event”? Or were you one of the many Members I have spoken to that just were not able to attend, but did carefully watch the goings on at Oshkosh via the World Wide Web? The web presentation, as great as it is, is simply no substitute for being there. It was everything aviation for sure, and was one of the best, and safest events I have ever witnessed at Oshkosh. Then mix in the perfect weather we had all week, and I have to say out loud “it was the best event I have witnessed in my 30 plus years of attending”. Great Volunteers and participating aircraft owners proved to be a great formula for real success. I was especially impressed this year with the quality and uniqueness of the many Antique & Classic restorations. We were witness to some truly rare and iconic collector airplanes. And the quality and originality were truly exceptional. And the number of round engine aircraft in attendance was nothing short of amazing. Thanks to everyone who attended! I really need to also mention here our sincere gratitude to all you Members who continue to support our “Friends of the Red Barn Fund” every year. For those of you who may not be familiar with this special fund, it is the reason we are able to provide the many Member benefits and aviation venues at EAA Oshkosh every year. Without the generosity of this group of supporters, we would find ourselves struggling to provide a viable and unique presentation of our Organization to the thousands of attendees each year who have a real soft spot in their hearts for the Vintage airplanes at Oshkosh. EAA’s immaculate 1929 Ford Tri-Motor is touring this fall. Beginning October 17th, our AirVenture Museum has an amazing series of lectures and presentations throughout the fall and winter. Most of these feature planes and events from the Vintage era. EAA has an amazing collection of video interviews of men and women who preserve the Vintage era. We will feature these as space permits. Click here or on the image to view the video (18 minutes). 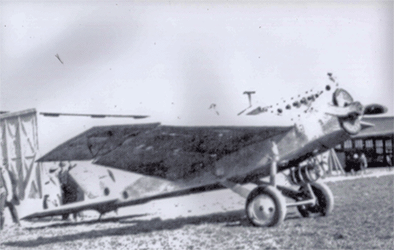 March 5, 2008 – Ward Stryker was hired to help build wings at the Swallow Aircraft Co. in 1927. When the Swallow plant shut down in 1929, he went to work as a rib builder at Cessna. In 1939 Ward went to work for Lockheed, where he stayed until 1946. What do antique Auburn and Duesenberg cars, Stinsons, E. L. Cord and John Dillinger all have in common with VAA president Geoff Robison, Security chairman Tim Fox, Maintenance chairman Mike Blomboch and so many more active year-round Vintage Volunteers? Shortly before AirVenture 2013 the makers of DuraCharts approached the VAA board about providing Vintage-branded sample charts for our AirVenture members and guests. We liked what we saw and welcome to Vintage. Your board has received several additional direct contributions from long-time vintage vendor supporters which help us at AirVenture and to deliver our digital message to a wider audience. We are excited and looking forward to continuing these new partnerships. Please recognize and support these fine vendors. They deserve your support. Lynn Towns correctly identified the Mystery Plane that appeared in the August Vintage AirMail. Click here or on the image below to read his identification and learn more about this plane.